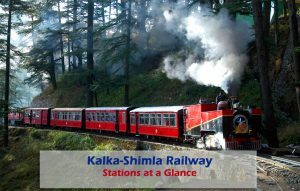 Kalka Shimla Toy train is a UNESCO World Heritage site. 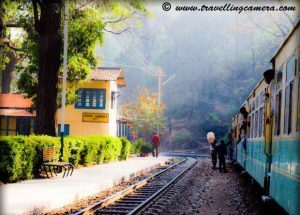 This narrow gauge track was built by Britishers in 1898 as a route to their summer capital Shimla. It was opened for public in 1903. A local resident named Bhalku with some exceptional skills, had a great contribution in the construction of this track. Passing through different kinds of forests, 103 tunnels and over 850 bridges, this track gains altitude of about 1590 m in 96 kms of track. 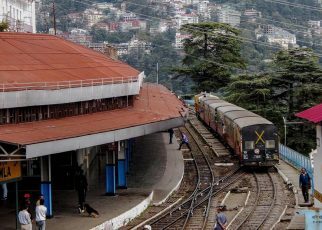 Many toy trains still runs on this engineering marvel between Kalka to Shimla daily. 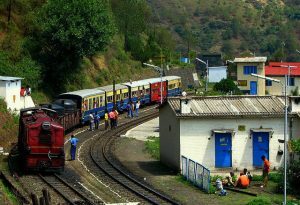 Enjoying toy train ride is a lifetime experience and many tourists do it during their Shimla visit. This heritage toy train track has 18 beautiful stations in total. Most of the stations have infrastructure as old as the track. You may have heard of many of them, if not here is the list of all 18 stations of this trek. The list starts with Kalka and ends at Shimla with all station in the order of their location from Kalka to Shimla. 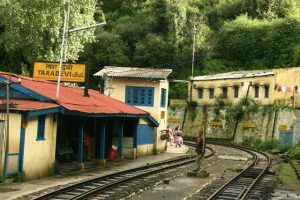 The broad gauge railway terminal of Haryana is also the originating point of the narrow gauge Kalka Shimla Toy train trek. 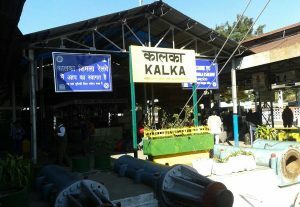 Kalka is the first station of this track. Taksal near Parwanoo is the first station of this trek in Himachal. 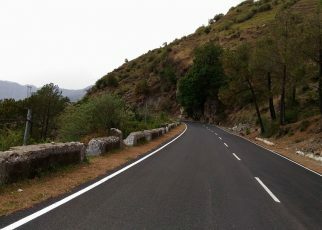 It is 6 km from Kalka. Taksal got this name because it was the place where coins were made during times of ancient rulers. 5 kms ahead of Taksal is the next station Gumman. It is a small station and not all the trains stop at this station. 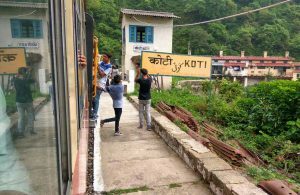 Koti is another small station which is 6 kms from previous station Gumman. 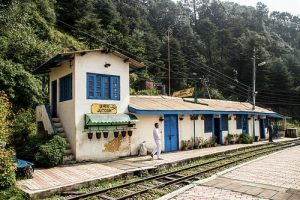 This station station is at Koti village near Jabli. 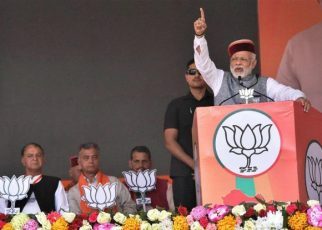 Next station is at a distance of 10 kms from Koti. 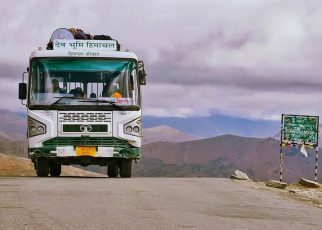 Kalka Shimla Trek crosses National Highway-22 at Jabli Crossing near Sonwara station. After Sanwara the trains halt again after 6 km at Dharmpur. Dharmpur station is adjoining to National Highway. 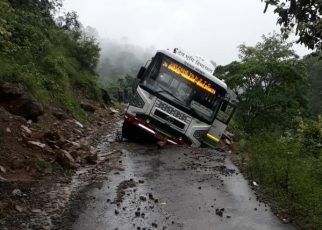 You can get buses or taxis for Kasauli from Dharmpur. Another 6 kms takes you to the Kumarhatti/Dagshai station. 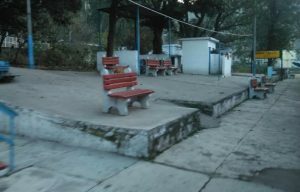 Dagshai is the oldest Cantonment of Himachal Pradesh. 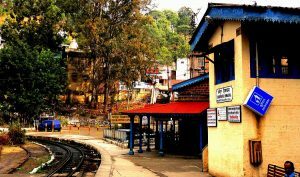 Barog is one of the most beautiful Railway station of Kalka-Shimla track. The longest tunnel of the track is here. This 1143 metre tunnel is straight. The other end can be seen from one end. Barog got its name after a british engineer Barog. He was looking after the work of the tunnel here. The work was being excavated at both ends to speed up the process. 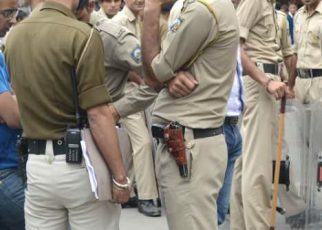 But at the end the ends didn’t meet and Barog was fined one rupee fine. 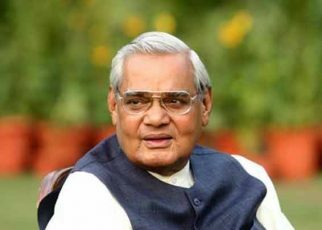 Out of shame he committed suicide. The unfinished tunnel is at some distance near the station. Barog is a good place to hang out. 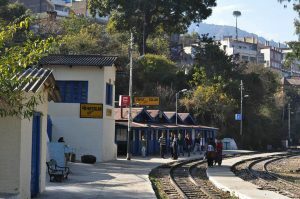 Solan station is in district headquarter of Solan district. It is also the midpoint of the track. This station is an important halt for the trains. All the trains stops at this station. 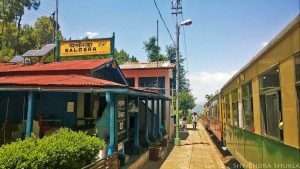 6 kms from Solan station is the Salogra station. The famous Solan Brewery is just a few kms away from Salogra railway station. 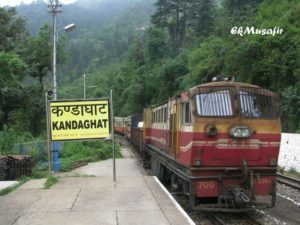 Kandaghat station is at Kandaghat Sub Division of Solan district. This station is 6 kms from Salogra station. Kanoh is the next station on the track, which is 6 kms from Kandaghat station. There is a 4 storeys bridge near Kanoh. 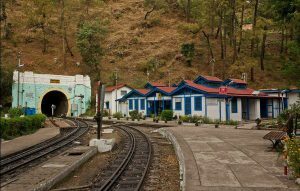 Kaithlighat is the last station of Solan district, which is 8 kms from previous station Kanoh. After another short run of 5 kms, the trains halt at Shoghi station. 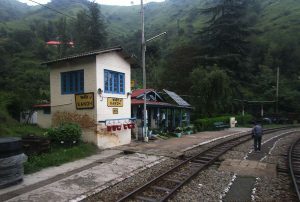 Shoghi is the first station in Shimla district. 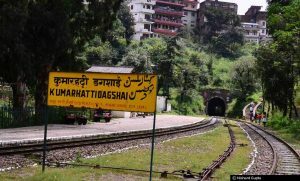 It takes another 7 kms from Shoghi to reach Tara Devi station. 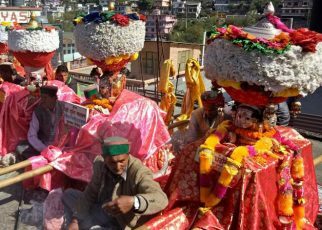 Tara Devi is famous for Tara Devi Temple. The next station is at Jutogh, which is a Army Cantonment area. The distance between this and previous station is only 5 kms. A short run of 4 kms and it will be the next station, the Summer Hill station. 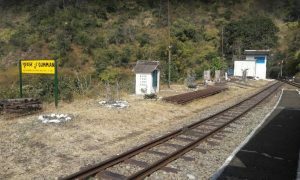 People going to Himachal Pradesh University can get off the train at this station. 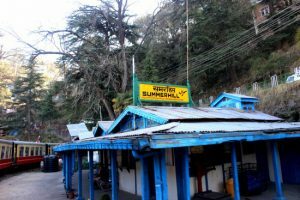 Another 3 kms from Summer Hill station and 96 kms journey from Kalka complete the journey and here is last station in the Hills Queen Shimla. 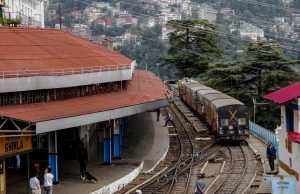 This beautiful station is located near old Bus stand in Shimla. 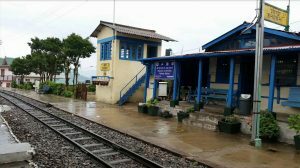 So, enjoy the toy train ride once at least and don’t forget to sip hot cup of tea at these stations.